"Hello and a warm welcome to Christy & Co. Hair Salon. We also like to make people feel comfortable and relaxed in our friendly salon environment and will greet you with a cup of tea, coffee or soft drink of your choice. 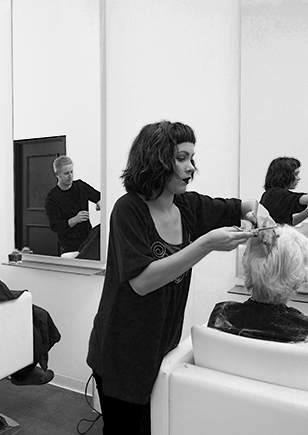 Christy & Co. have 16+ years experiance in all areas of the hair industry, so that everyone can be serviced with their hair style or color of choice. This salon has always been a dream of the owner Christy Nowland, and she is thriving on making sure this is a top salon for miles in her area. She is committed to having herself and stylist team have the best education for the latest in all the celebrity and top styles. Her promise to the clients of Christy & Co. Hair Salon is to, " Offer affordabale prices for the top styles and color for the whole family. So that everyone in the family can get their hair done how they want it, love what they are getting for a low price, but look like top dollar!" That is her promise to you as customer of her salon. Come today or call and make an appointment and visit the #1 salon in Florence, South Carolina. Come see what all the hype is about at the newest salon in town at a very affordable price. You will only leave happy, satisfied and with money still in your pocket!!! Our salon is situated in Florence, South Carolina.